Build a high margin production base through unlocking stranded production and drilling wells on existing assets and by the acquisition of complementary assets. Whitebark plans to continue to grow the PLJV Canadian assets held with Point Loma Resources during FY2019 following successful acquisition and production growth in FY2018. Two development wells in Wizard Lake Rex oil pool. Development well planned at Paddle River in Q1 2019 to unlock significant upside. Doubled net production since acquisition and almost tripled net reserves (proven + probable) in the same timeframe. Gilby Acquisition of approx. 26,500 gross acres of land and 450 boe/d production finalised in March 2018. Drilled two wells in 2017 and two well drilling program confirmed for H1 2018. Acquired 13 new sections land via land auction system. Acquired strategic land around core Paddle River Oil Project, including stranded wells and equipment. Thornbury Reactivation Project Commenced – should increase production by 1.7mmcf/d. Nine well workovers in existing producing areas. LOI executed with Tidewater Paddle River Gas Plant to process gas through their 60mmcf/d deepcut facility. 15‐20 wells to be brought back on stream over a six‐month period in 2018 as pipelines are recommissioned – gross production is expected to increase by around 2 mmcf/d and 100 bbl/d of liquids. 3D Seismic Acquisition Program over Banff play identified potential 40 million bbls oil in place (8.4 mmboe net to WBE). Duvernay Shale land rush around WBE land holding in Canada. The table below outlines the 1P and 2P reserves held in Canada net to WBE as published in the WBE FY18 Annual Report. An update was released on 15 March 2019 specific to the Wizard Lake Reserves and can be found in the Investor Relations section of this website. In May 2017, Whitebark, via its Canadian subsidiary Salt Bush Energy Ltd, completed an acquisition of a 20% direct interest in the assets of Point Loma Resources (Point Loma) for an investment of CAD$4.2 million. The acquisition includes producing wells, land, property, equipment and production facilities (for full details, see ASX announcement dated 24 May 2017 under Investor Centre). From mid-2016, Point Loma gross production reached 900 boe/d (25% liquids), up from 135 boe/d, and hold Net Producing Reserves of 3.9 MMboe and 2P reserves of 4.98 MMboe (see Table 1). WBE net production is currently over 150 boe/d and also receives revenue from tolling income through ~70MMcf/d gas plant (50MMcf/d spare capacity). The acquisition also included compressors, tank farms, production facilities, pipelines and associated infrastructure. 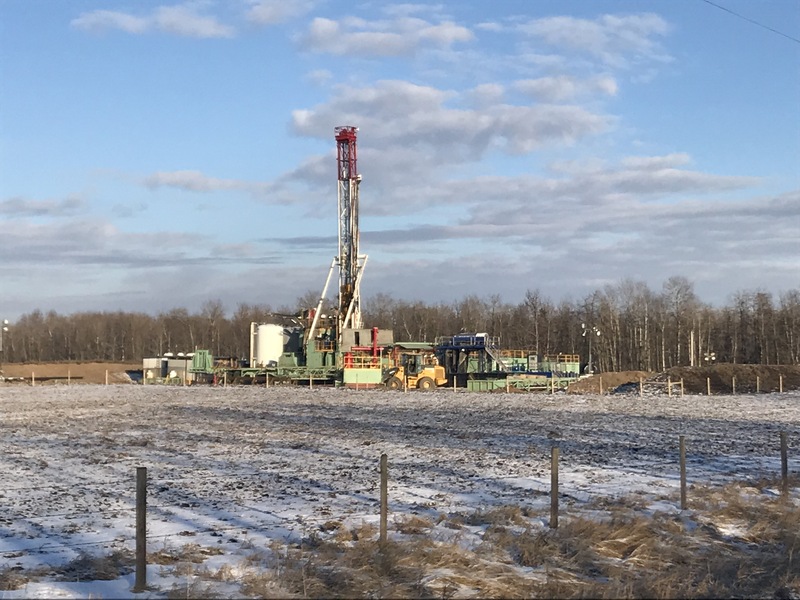 Point Loma had captured a significant land position with over 210,000 net acres over a highly productive and prospective portion of West Central Alberta which has multiple oil and gas zones ranging in age from the Cretaceous Mannville to Mississippian Banff. Modest drilling depths throughout and technological advancements associated with horizontal drilling, leads to strong economic returns due to low-cost wells and close proximity of production facilities and easy access to market. Whitebark and Point Loma finalized the work program for the six month to December 2017. The program included drilling of wells, well workovers, well tie-ins and the acquisition of additional producing properties. A particular focus of future work will be bringing online previously stranded wells which can now be brought on l ine through the Joint Venture’s pipeline system. Work done by Point Loma has identified over 300 drilling and recompletion opportunities. Point Loma has also identified numerous production acquisition opportunities which will complement its existing holdings and result in not only increased production and reserves but also drive down operating costs due to additional throughput and operating synergies. Through the Strategic Joint Venture, Point Loma and Whitebark will strive to increase the value of the existing assets and work together throughout Alberta to add new assets to create substantial additional shareholder value.